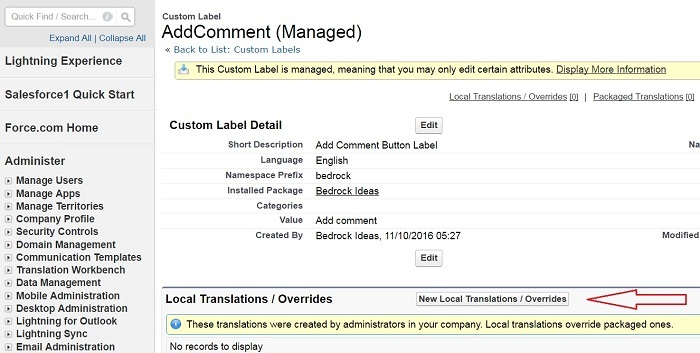 With our latest Bedrock Ideas V2.3 release it is possible to add translations for custom labels. In this blog post we will show you how to do it correctly step by step. So, let’s start! Enable Translation Workbench (if it’s not enabled yet). Go to Setup page and find it in the Quick Find box. 2. Now we need to add supported languages to the Translation Workbench. Click Add button and choose the language from the list. Click Save. 3. 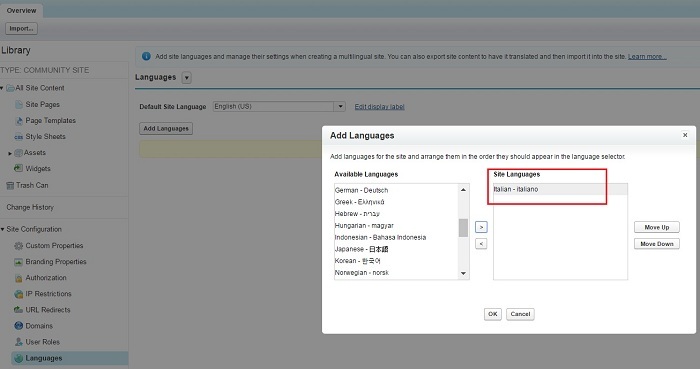 In the Quick Find box find Language Settings and add your language to the list of Displayed Languages. Click Save. 4. Now go to Community Builder->Settings->Languages and click Go to Site.com link. 5. 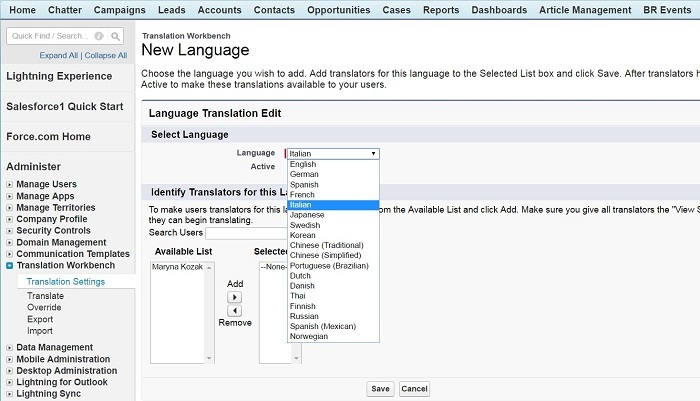 Click Add Languages button and choose your language from the list to add it to Site Languages. Click OK and then don’t forget to Publish your changes! 6. From Setup page go to Custom Labels page. You will need to translate every label manually. To do that, click on the label name and then New Local Translation button. Choose the language and type the translation. Click Save. When you translate the label, it will be displayed in the community. Unfortunately you can not translate labels from the drop-down list (Popular, Trending, Recent) for now. But we are working on that and hope to fix it in our next release. 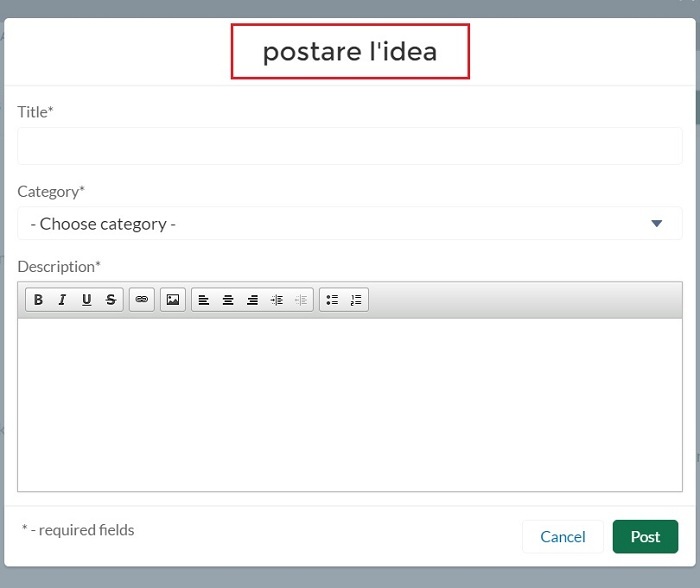 Thanks for using our Ideas Component for Community Cloud!